Contemporary Oval Address Plaque - - with stunning brushed aluminum numbers. Wall mount. Made in USA. 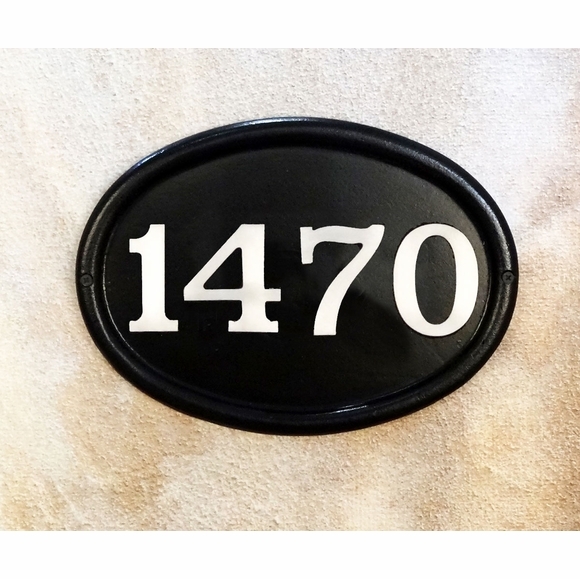 Personalized street number plaque is made of cast aluminum with permanently molded brushed aluminum numbers. Two font styles: Bold Italic font (large image) and sleek Times font (small images). Dimensions: 11.5"W x 9"H x 0.5". Personalized street number plaque made of cast aluminum with permanently molded brushed aluminum numbers.